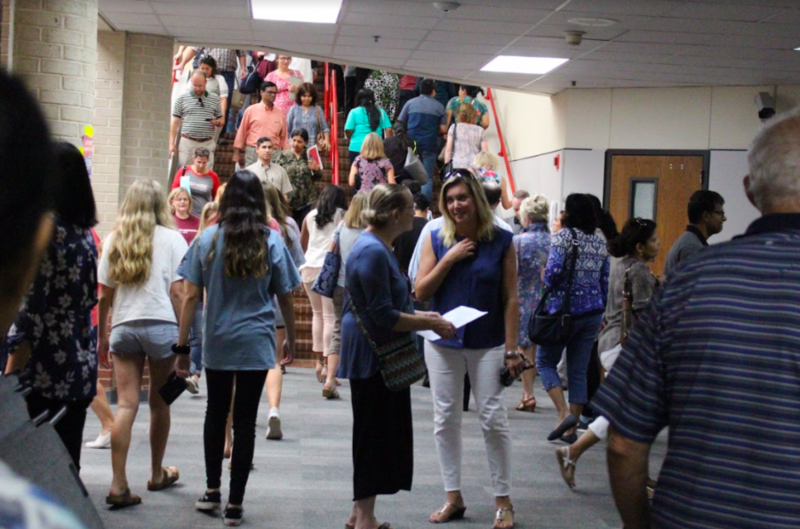 Every year, Coppell High School hosts a Open House during first semester and a Spring Preview Night during second semester. The Spring Preview Night will be this Monday, Feb. 11, from 6-8 p.m. in the small gym, large gym and the commons. Following the opening of course selections on Jan. 9, Coppell High School will be hosting a Spring Preview Night on Feb. 11. This will serve as an Open House for next year, focusing around 2019-20 sophomores. “It’s an opportunity to give our incoming kids, an opportunity to see what that course might look like and have a conversation with those teachers about what to expect,” associate principal Sean Bagley said. The event runs from 6 – 8 p.m. and gives parents and students an opportunity to interact with teachers in preparation for the coming 2019-20 school year. The large gym, small gym and commons will be set up with IB (International Baccalaureate) students and faculty in the back commons. There will be signs held up indicating the course name and will be divided up by their subject. For example, the foreign language and CTE classes which will be held in the small gym. Teachers also have the opportunity to bring in former or current students and prepare presentations to show incoming students the curriculum. In addition to meeting teachers, clubs such as Health Occupations Students of America (HOSA) and Student Council will attend with members advocating their clubs. CHS Red Jackets will also be present throughout the night, guiding tours for incoming students.